This announcement is not an offer, whether directly or indirectly, in Australia, Canada, Hong Kong, Japan, New Zealand or South Africa or in any other jurisdictions where such offer pursuant to legislation and regulations in such relevant jurisdictions would be prohibited by applicable law. Shareholders not resident in Sweden who wish to accept the Offer (as defined below) must make inquiries concerning applicable legislation and possible tax consequences. Shareholders should refer to the offer restrictions included in the section titled “Important notice” at the end of this announcement and in the offer document published on Quimper’s website, www.quimperbidco.com. Shareholders in the United States should also refer to the section titled “Special notice to shareholders in the United States” at the end of this press release. On 11 December 2018, Quimper AB (a company that has been or will be indirectly invested in by CVC Funds) (“Quimper”), announced a public cash offer to the shareholders in Ahlsell AB (publ) (“Ahlsell” or the “Company”) to tender all their shares in Ahlsell to Quimper (the “Offer”). The offer document regarding the Offer was made public on19 December 2018. The shares tendered in the Offer at the end of the initial acceptance period on 11 February 2019, together with the shares already held or otherwise controlled by Quimper, and closely related parties, amount to in aggregate 403,296,725 shares in Ahlsell, corresponding to approximately 93.9 percent of the share capital and the voting rights in Ahlsell. To provide the remaining shareholders of Ahlsell who have not tendered their shares time to accept the Offer, the acceptance period will be open beyond the end of the initial acceptance period, until 27 February 2019 at 15.00 (CET). Settlement for shares tendered in the Offer during the additional acceptance period is expected to start around 5 March 2019. Quimper reserves the right to further extend the acceptance period for the Offer. Prior to announcement of the Offer, Quimper, and closely related parties, held in aggregate 109,578,323 shares in Ahlsell, corresponding to approximately 25.1 percent of the share capital and the voting rights in Ahlsell. At the end of the initial acceptance period on 11 February 2019, the Offer had been accepted by shareholders representing in total 293,718,402 shares in Ahlsell, corresponding to approximately 68.4 percent of the share capital and the voting rights in Ahlsell. 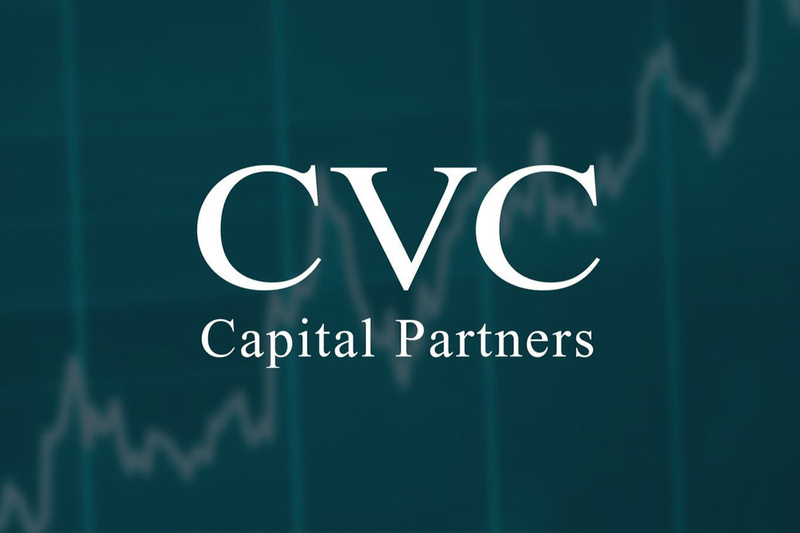 CVC is a leading private equity and investment advisory firm. Founded in 1981, CVC today has a network of 24 offices and approximately 450 employees throughout Europe, Asia and the US. To date, CVC has secured commitments of over US$ 116 billion from some of the world’s leading institutional investors across its private equity and credit strategies. CVC Funds have been investing in the Nordic region for more than 20 years and currently invest in a wide range of portfolio companies in the region, including Synsam, ÅR Packaging, eTraveli and Mehiläinen. In total, CVC currently manages approximately US$69 billion of assets. Today, CVC Funds are invested in 72 companies worldwide, employing c.200,000 people in numerous countries. Together, these companies have combined annual sales of over US$150 billion. For further information about CVC please visit: www.cvc.com. This information was submitted for publication on 13 February 2019 at 08:00 (CET). The Offer is not being made, directly or indirectly, in or into Australia, Canada, Hong Kong, Japan, New Zealand orSouth Africa by use of mail or any other means or instrumentality (including, without limitation, facsimile transmission, electronic mail, telex, telephone and the Internet) of interstate or foreign commerce, or of any facility of national security exchange, of Australia, Canada, Hong Kong, Japan, New Zealand or South Africa, and the Offer cannot be accepted by any such use, means, instrumentality or facility of, or from within, Australia, Canada, Hong Kong, Japan, New Zealand or South Africa. Accordingly, this press release and any documentation relating to the Offer are not being and should not be sent, mailed or otherwise distributed or forwarded in or into Australia,Canada, Hong Kong, Japan, New Zealand or South Africa. This press release is not being, and must not be, sent to shareholders with registered addresses in Australia,Canada, Hong Kong, Japan, New Zealand or South Africa. Banks, brokers, dealers and other nominees holding shares for persons in Australia, Canada, Hong Kong, Japan, New Zealand or South Africa must not forward this press release or any other document received in connection with the Offer to such persons. Statements in this press release relating to future status or circumstances, including statements regarding future performance, growth and other trend projections and the other benefits of the Offer, are forward-looking statements. These statements may generally, but not always, be identified by the use of words such as “anticipates”, “intends”, “expects”, “believes”, or similar expressions. 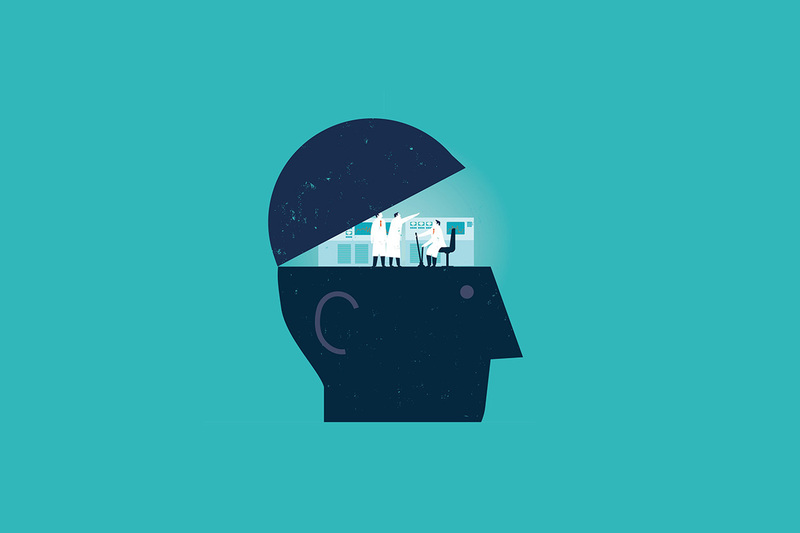 By their nature, forward-looking statements involve risk and uncertainty because they relate to events and depend on circumstances that will occur in the future. There can be no assurance that actual results will not differ materially from those expressed or implied by these forward-looking statements due to many factors, many of which are outside the control of Quimper. Any such forward-looking statements speak only as of the date on which they are made and Quimper has no obligation (and undertakes no such obligation) to update or revise any of them, whether as a result of new information, future events or otherwise, except for in accordance with applicable laws and regulations. The Offer is being made for shares of Ahlsell AB (publ), a company incorporated under Swedish law, and is subject to Swedish disclosure and procedural requirements, which are different from those of the United States. The Company’s financial statements, and all financial information that is included in any offer document, or any other documents relating to the Offer, have been or will be prepared in accordance with IFRS and may not be comparable to financial statements of companies in the United States or other companies whose financial statements are prepared in accordance with US generally accepted accounting principles. The Offer is being made in the United States pursuant to Section 14(e) and Regulation 14E under the US Exchange Act as a “Tier II” tender offer, and otherwise in accordance with the requirements of Swedish law. Accordingly, the Offer will be subject to disclosure and other procedural requirements, including with respect to withdrawal rights, offer timetable, settlement procedures and timing of payments that are different from those applicable under U.S. domestic tender offer procedures and law. It may be difficult for U.S. shareholders to enforce their rights and any claims they may have arising under the U.S. federal securities laws in connection with the Offer, since the Company and Quimper are located in countries other than the United States, and some or all of their officers and directors may be residents of countries other than the United States. U.S. shareholders may not be able to sue the Company or Quimper or their respective officers or directors in a non-U.S. court for violations of U.S. securities laws. Further, it may be difficult to compel the Company or Quimper and their respective affiliates to subject themselves to the jurisdiction or judgment of a U.S. court. To the extent permissible under applicable law or regulations, Quimper and its affiliates or brokers (acting as agents for Quimper or its affiliates, as applicable) may from time to time after the date hereof directly or indirectly purchase or arrange to purchase shares of the Company outside the United States other than pursuant to the Offer, before or during the period in which the Offer remains open for acceptance, or any securities that are convertible into, exchangeable for or exercisable for such shares. These purchases may occur either in the open market at prevailing prices or in private transactions at negotiated prices. Any information about such purchases will be announced through relevant electronic media if, and to the extent, such announcement is required under applicable Swedish law, rules or regulations. In addition, the financial advisors to Quimper may also engage in ordinary course trading activities in securities of the Company, which may include purchases or arrangements to purchase such securities. The receipt of cash pursuant to the Offer by a U.S. shareholder may be a taxable transaction for US federal income tax purposes and under applicable U.S. state and local, as well as foreign and other, tax laws. Each shareholder is urged to consult his or her independent professional adviser immediately regarding the tax consequences of accepting the Offer. NEITHER THE SEC NOR ANY U.S. STATE SECURITIES COMMISSION HAS APPROVED OR DISAPPROVED THE OFFER, OR PASSED ANY COMMENT UPON THE ADEQUACY OR COMPLETENESS OF THIS ANNOUNCEMENT. ANY REPRESENTATION TO THE CONTRARY IS A CRIMINAL OFFENCE IN THE UNITED STATES. Quimper is a newly formed entity that has been or will be indirectly invested in by funds or vehicles (“CVC Funds”) advised by CVC Advisers Company (Luxembourg) S.à r.l. and/or its affiliates. “CVC” means CVC Advisers Company (Luxembourg) S.à r.l. and its affiliates, together with CVC Capital Partners SICAV-FIS S.A. and each of its subsidiaries. Based on all 436,302,187 outstanding shares in Ahlsell, excluding the 7,000,000 shares which are held by Ahlsell in treasury. Based on all 436,302,187 outstanding shares in Ahlsell, including the 7,000,000 shares which are held by Ahlsell in treasury. 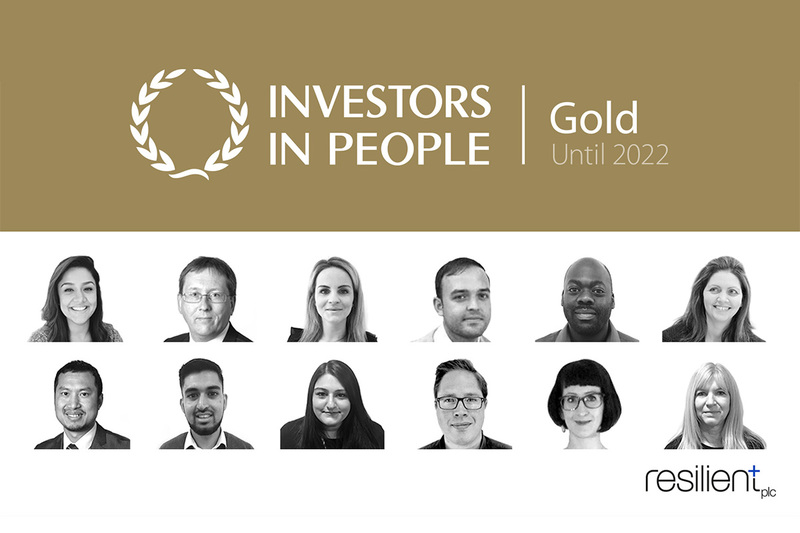 Resilient plc is pleased to announce that they have been awarded Gold accreditation against the Investors in People Standard, demonstrating their commitment to realising the potential of their people. Veoneer, Inc.’s (NYSE: VNE) and (SSE: VNE SDB), joint-venture for advanced driver assistance systems (ADAS) and autonomous driving software, Zenuity, reached an important milestone when the all-electric luxury car Polestar 2 was revealed recently. 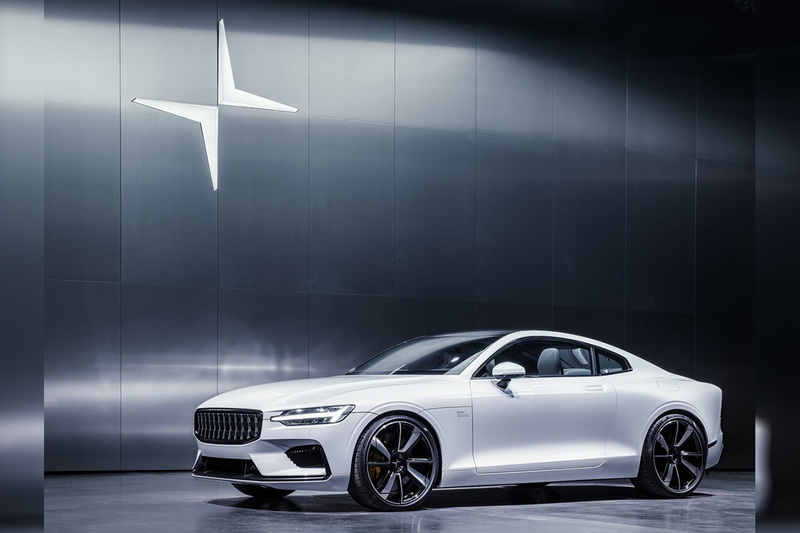 Early 2020, Polestar 2 will be the first car model on the market with an ADAS software system, e.g. pilot assist, collision avoidance, connected safety, that has been created and adapted by Zenuity and Veoneer. In Polestar 2, Zenuity’s ADAS software stack has been integrated with Veoneer’s sensors and the active safety products ADAS ECU, front radar, and monovision cameras version 4 with algorithms using deep learning technologies developed by Veoneer. “We are proud that Zenuity delivers its first production ADAS software system to Polestar – and we are equally proud to provide our active safety products including the new generation monovision camera system,” says Jan Carlson, Chairman, President and CEO at Veoneer. Polestar is the electric performance car brand jointly owned by Volvo Car Group and Zhejiang Geely Holding. Veoneer designs and manufactures products and solutions for active safety, autonomous driving, occupant protection and brake control. Our purpose is to create trust in mobility. Veoneer is a new technology company that is building on a heritage of more than 60 years of automotive safety development. Veoneer has 8,600 employees in 13 countries. Headquartered in Stockholm, Sweden, Veoneer is listed on the New York Stock Exchange and on Nasdaq Stockholm.